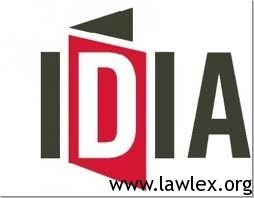 Increasing Diversity by Increasing Access, or IDIA, as it is generally known, is a nationwide programme for drawing in talented students from marginalized and under-represented parts of India to the best national law schools in the country. The programme, was conceptualised by Prof. Shamnad Basheer (Ministry of HRD Chaired Professor in IP Law, NUJS, Kolkata) in 2010 and now has its presence in more than 17 states. Within the first two years of operation, 34 IDIA scholars have successfully cleared CLAT and been admitted into Universities such as NLSIU, NALSAR, NUJS, HNLU, GNLU etc. As part of the training given to IDIA students each year, we are looking for a bundle of outstanding questions in legal reasoning to prepare our Scholars for CLAT 2013. Held in the year 2010 for the first time, the competition seeks to select the best set of legal reasoning questions suitable for CLAT training. Remember that IDIA Scholars/CLAT aspirants are students who do not know anything about the law. We are testing only aptitude for legal reasoning, and not for the knowledge of law. If you are using any legal concept or term, please explain its meaning in the problem itself. The student should be able to solve the problem by simply reading the legal principle or principles and applying them to the fact situation. Legal aptitude is also the ability to sift through a morass of facts and to distinguish the relevant from the irrelevant ones. Therefore, ensure also that your problems have a bunch of relevant and irrelevant facts thrown in; we’d like the students to be able to sift out necessary information. We’d also like to get a good mix of moderate and tough level questions. Competition is open to any undergraduate/post-graduate student enrolled in a recognised law university/college. The questions must be original and unpublished. Plagiarism or submission of questions which are previously published will lead to immediate disqualification from the competition. Questions must adhere to the pattern followed by Common Law Admission Test (CLAT). To know more about the pattern, please see the annexure in the attached document or click here. In order to take part in the competition, one has to submit a minimum of 10 (ten) Legal Reasoning questions including a mix of moderate and difficult level questions. Please feel free to submit more than 10 (ten) questions and we shall pick the best 10 (ten) among them and grade your submission. The questions have to be submitted on or before 23rd March, 2013 (11:59pm). The entries have to be mailed at [email protected] . The submissions have to be made in the MS-Word (2007/2003) format. Subject of the e-mail must be “Submission: IDIA Legal Reasoning Question Framing Competition, 2013”. Do not mention your name, institution and other identification factors anywhere in the submission document. Results will be declared by second week of April, 2013. There are two cash prizes for the winning entries. While best entry will receive a prize of Rs. 3000, second best entry will receive a prize of Rs. 2000. Each participant will receive an official e-mail from IDIA acknowledging the participation in the competition. You grant the IDIA Charitable Trust an exclusive license to use the questions submitted by you for all time to come, across the world, and in any medium, now known or hereafter invented. You may use the questions yourself for your personal use but you can grant others, the permission to use these questions only after seeking prior consent of the IDIA Charitable Trust. Prizes and letter of appreciation will be dispatched within two weeks from the announcement of the results.